On International Stammering Awareness Day (22 October), a new study reveals that Britain’s first speech therapists emerged at least a century earlier than previously thought. Until now, historians had assumed that John Thelwall became Britain’s first speech therapist in the early nineteenth century.But Cambridge historian Elizabeth Foyster has discovered that James Ford was advertising his services in London as early as 1703, and that many other speech therapists emerged over the course of the eighteenth century. Ford’s advert (pictured), published in the Post Man newspaper on 23 October 1703, states that “he removes Stammering, and other impediments in Speech”, as well as teaching “Foreigners to pronounce English like Natives”. Ford had previously worked with the deaf and dumb but realised that there was more money to be made by offering other speech improvement services as a branch of education for wealthy children. By 1703, Ford was based in Newington Green, in the suburbs of London, but twice a week he waited near the city’s Royal Exchange and Temple Bar to secure business from merchants, financiers and lawyers desperate to improve their children’s life chances. By 1714, some of these families were seeking out the help of Jacob Wane, a therapist who drew on a 33-year personal struggle with the condition. And by the 1760s, several practitioners were competing for business in London. Foyster’s study, published in the journal Cultural and Social History, shows that speech specialists emerged in the early eighteenth century as new attention was given to the role of the nerves, emotions and psychological origins of speech impediments. Prior to this, in the seventeenth century, the main cure on offer had involved painful physical intervention including the cutting of tongues. But as speech defects came to be understood as resulting from nervous disorders, entrepreneurial therapists stepped in to end the monopoly of the surgeons. These speech ‘artists’ jealously guarded their trade secrets but gave away some clues to their methods in print. Close attention was paid to the position of the lips, tongue and mouth; clients were given breathing and voice exercises to practise; and practitioners emphasised the importance of speaking slowly so that every sound could be articulated. By the 1750s, London’s speech therapists had become masters of publicity publishing books, placing advertisements in newspapers and giving lectures in universities and other venues. In 1752, Samuel Angier achieved the remarkable feat of lecturing to Cambridge academics on four occasions about speech impediments and the ‘art of pronunciation’, despite having never attended university himself. Foyster has identified several successful speech therapy businesses, some of which were passed down from one generation to the next. Most of these were based in London but practitioners would often follow their clientele to fashionable resort towns such as Bath and Margate. 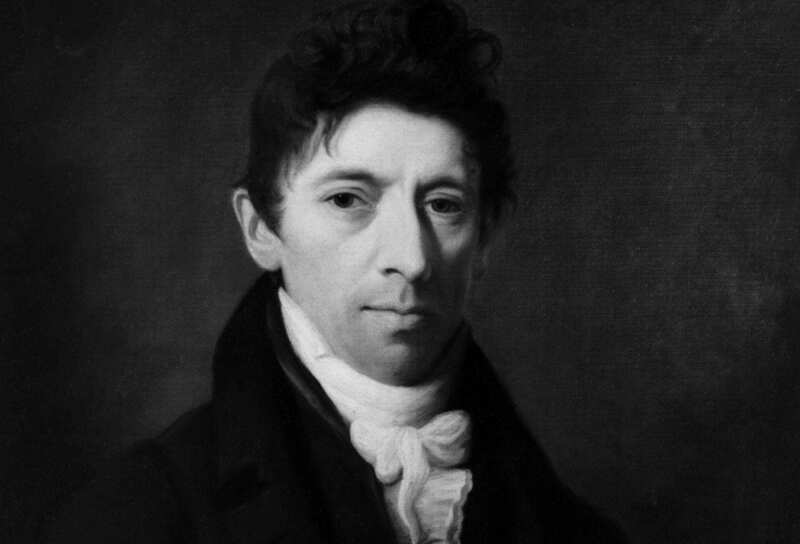 In 1761, Charles Angier became the third generation to take over his family’s business; and by the 1780s, he claimed to be able to remove all speech impediments within six to eight months if his pupils were ‘attentive’. By then, he was reported to be charging fifty guineas ‘for the Cure’ at a time when many Londoners were earning less than ten guineas a year. To be successful, these entrepreneurs had to separate themselves from quackery. Some heightened their credibility by securing accreditation from respected physicians while others printed testimonials from satisfied clients beneath their newspaper advertisements. Foyster’s study also sheds light on the appalling suffering and inspirational determination of stammerers in the eighteenth century, including some well-known figures. Joseph Priestley (1733-1804), the theologian, scientist and clergyman (pictured), recalled that his worsening stammer made ‘preaching very painful, and took from me all chance of recommending myself to any better place’. His fellow scientist, Erasmus Darwin, also suffered from a stammer, as did Darwin’s daughter, Violetta, and eldest son, Charles. In 1775, Darwin compiled detailed instructions to help his daughter overcome her stammer which involved sounding out each letter and practising problematic words for weeks on end.